Las Vegas is one of the largest cities in the country and because of this, we often forget that it is a lone metropolis in the middle of the desert. Summerlin, Las Vegas is a master planned, mostly residential community that began to develop in the 1990s. One reason why Summerlin homes are so sought after is Summerlin’s extremely environmental agenda. The Bureau of Land Management, along with the planners of Summerlin, exchanged land in order to conserve the delicate ecosystems and nature in the Spring Mountains and Red Rock Canyon. 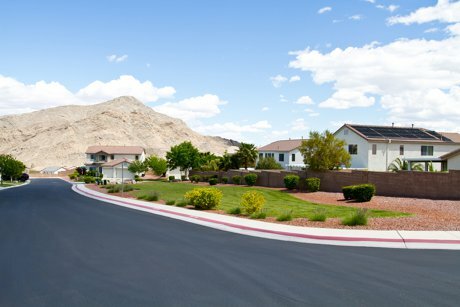 Living in Summerlin is truly the best of both worlds because it is a quiet, beautiful, and natural community that is a mere 20 minute drive from the world famous strip in the heart of Las Vegas. Many people who own Summerlin property enjoy the award winning Summerlin Trail System, adding up to a total of 150 miles. Residents of all ages use these trails the entire year, thanks to the constant sun in Southern Nevada. Summerlin property owners often go to the nearby Red Rock Canyon as a place to get a closer look at nature or even to admire the gorgeous views of the entire city of Las Vegas. Residents can go to picnic, bike, horseback ride, hike, rock climb, or just take a scenic drive through the canyon. Las Vegas is famous for amazing and eclectic cuisine. There are many restaurants close to Summerlin homes that have the same quality as ones you find at the Strip, but these won’t break the bank. Two extremely popular picks for a delicious meal are Pasta Idea - well known for their authentic Italian homemade noodles and sauces, and Nittaya’s Secret Kitchen - a modern spin on classic Thai dishes. Information and reviews of these restaurants and more can be found here.